Here is the inventory of Isvara Archive at the 1st of January 2019. For a total of 106,283 documents. To this we have to add 81,088 documents who are in a private sector of our cloud, containing files that still have to be reviewed before being published. Most of them will be put available to all of you. 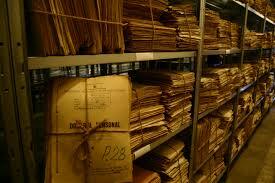 The grand total will therefore be around 187,371 documents. And counting. In my library I have hundreds of books, magazines and old documents that are just waiting for someone to come in our office to be scanned. First of all you have access to the largest archive of vedic and vaisnava documents in the world. Secondly you will help me to do more and better, publishing more books, magazines and rare documents.